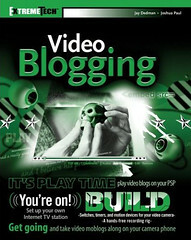 Jay Dedman, Josh Kinberg and Joshua Paul's new book on video blogging is out on Amazon. Congratulations guys! Amazing, isn't it? You're on equal footing with multibillion-dollar TVand movie producers. Videoblogging lets your audience see your cause,your story, or your personal creations?and you can distribute your showto anyone with Internet access. 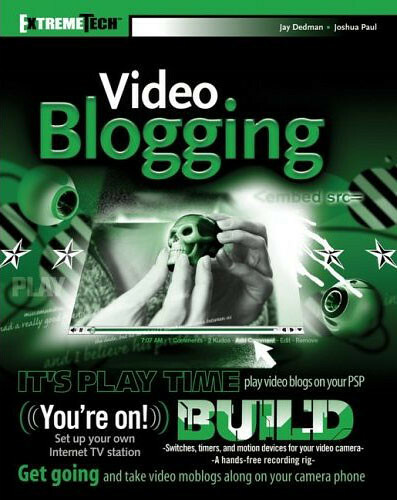 And since the videobloggingcommunity is all about sharing, more than 20 expertshave kicked in tips and ideasto make this book the ultimatevideoblogging crash course. So head for the checkout, grabfresh batteries for your videocamera, and let's get started!